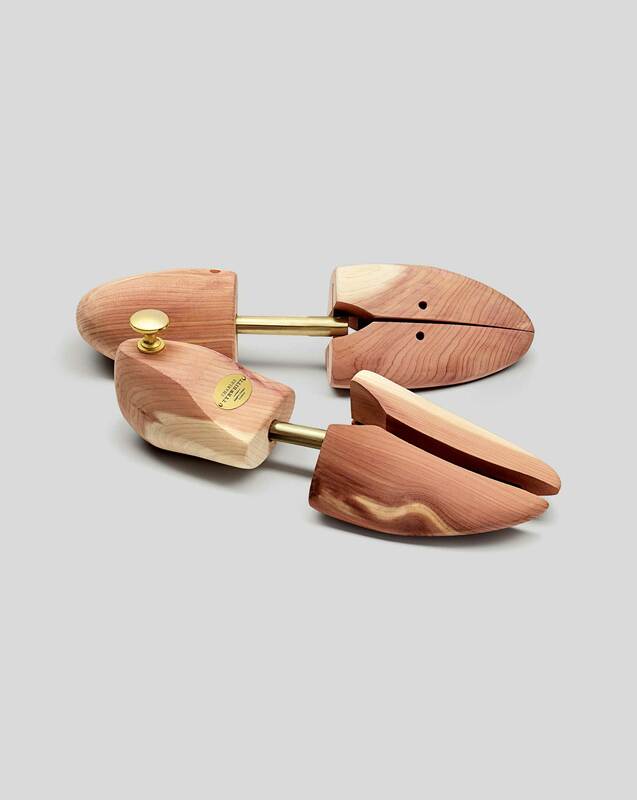 "Look after our luxury leather shoes with our cedar shoe-tree and you’ll see just how long they last." Grand buy. Good quality easy to apply does justice to the shoes. They fit the shoes well and will do the job. Good item, only problem Tyrwhitts postage trick. Response from Charles Tyrwhitt: I'm sorry to hear there has been some concern over a 'free delivery' offer you received. This is most unfortunate indeed, but I can assure you we would never dream of misleading customers in any way whatsoever. I'm glad you have raised your concerns with us, however, as it will allow me to flag this with the Web Team to look into further. In the meantime, I have correctly removed the postage costs from your purchase, which I trust will be acceptable. Not what I expected so sadly had to return them. But found the returns procedure simple and streight forward. Response from Charles Tyrwhitt: It's always a shame when an item doesn't quite meet expectations, but I'm glad you found our simple and straightforward returns process exactly that.